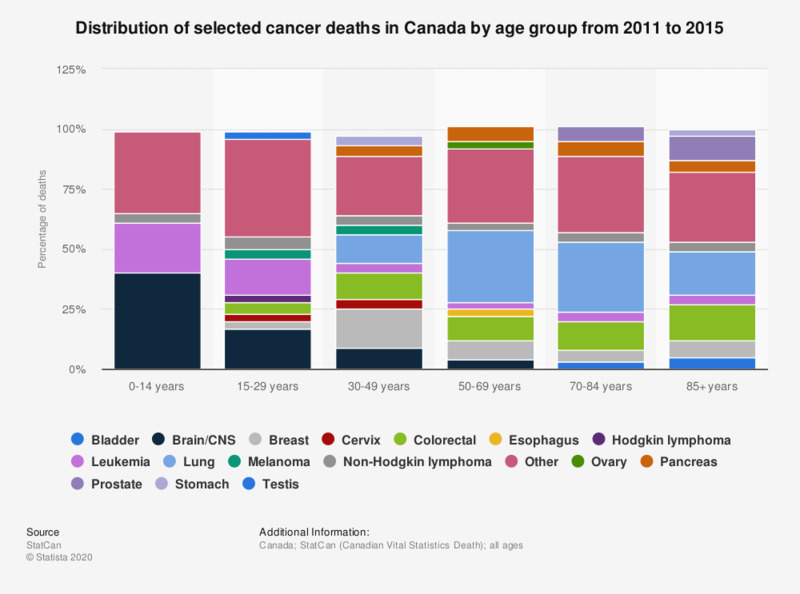 This statistic depicts the distribution of cancer deaths in Canada by select types of cancer and by age group between 2008 and 2012. During this period, 16 percent of cancer deaths in 15 to 29 year olds were due to leukemia. Cancer is one of the leading causes of premature death and almost half the individuals in Canada will develop this disease during their lifetime. CNS: central nervous system; PNC: peripheral nervous cell tumours.